Charlotte’s economy is booming, which means that construction is booming as well – and the number of serious injuries suffered on construction sites is also rising. Falls, catastrophic burns, crush injuries, electrocutions, and other types of accidents can easily happen when working on a construction site or while visiting one. The costs of a construction injury can be just as devastating as the physical harm suffered. Medical bills, lost wages, and other costs place a huge burden on you and your family. 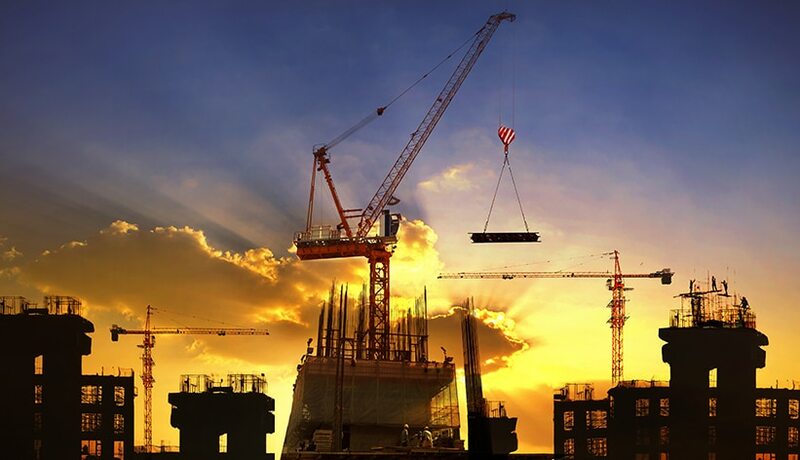 The construction accident attorneys at Warren & Kallianos, have dedicated our practice to representing North Carolina residents who have been hurt in serious accidents. Over the decades that we have been practicing law, our attorneys have secured millions of dollars in settlements and verdicts for construction workers who were injured on the job, and we want to put our knowledge to work for you. Falls. Falls are the most common construction site accident, according to the Centers for Disease Control and Prevention (CDC). Workers may fall from scaffolding, cranes, roofs, ladders, or other heights. Or they may slip and fall on oil, wood shavings, water, or other substances or objects on walking surfaces, for example. Falls can cause broken bones, severe head or spinal cord injuries, death, and other harms. Falling objects. In some accidents, it’s not the worker who falls. Instead, a load may fall from a height onto a worker. Or a tool may fall off a platform and hit a worker below. Even with appropriate safety equipment like hardhats, severe brain and spinal cord injuries can occur, as well as broken bones and other injuries. Equipment-related accidents. Heavy machinery poses risks no matter how carefully workers operate it. Crush or puncture wounds can be caused by defective equipment, or severe injuries may result if a piece of equipment like a forklift or crane tips or rolls onto a person. Burns and poisonings. Many materials used in construction are hazardous, toxic, or caustic. This includes not only fire and electricity, which may cause burns, but many chemicals used in construction as well. Exposure to these substances can cause severe burns, poisoning reactions, and other harm. Trench or building collapse. The collapse of a building or trench at a construction site is all too common, and it can easily kill or seriously injury anyone trapped inside when the collapse occurs. Repetitive motion injuries, heatstroke, and overexertion. Construction is hard work. Repetitive physical labor in harsh conditions can cause injury, muscle and joint damage, heat stress or hypothermia, or other severe overexertion injuries. Workers’ compensation will pay medical bills and other expenses for these types of injuries in many cases, whether you can point to a single “accident” that caused them. Even if your accident and injury are not on this list, you can benefit from contacting one of our Charlotte construction injury lawyers to learn more about your legal rights. If you have lost a loved one in a fatal construction site accident, we can represent you as you pursue compensation for your loss. It’s no secret that working in construction can be incredibly dangerous. Employees spend their days around large machines, hazardous equipment, and heavy materials. The high-risk conditions of construction work demand adequate safety gear and thorough training. When employers do not supply their workers with enough instruction, training, or protective equipment, terrible accidents can occur. Every year, tragic construction site accidents result in many injuries and deaths. Like other states, North Carolina has its fair share of construction accidents. According to the Bureau of Labor Statistics, the private construction industry sector had the highest number of fatalities in North Carolina. Thirty individuals died due to accidents while on the job, with fall, slip, and trip accidents leading the numbers when it came to fatal events. $4,000,000 for a client who suffered catastrophic burn injuries while working on an energized power panel at a manufacturing plant. $1,550,000 for a client who suffered severe burns and electrical injuries over 22 percent of his body when a light pole he was working on touched a high-voltage power line. $1,500,000 for a client who suffered a severe brain injury when he was thrown from a vehicle on I-85 in a construction zone. $1,120,000 jury verdict for a client who suffered severe crush injuries in a crane collapse accident. Although every case is unique, and outcomes can vary, we will fight aggressively for maximum compensation for you. To find out about more of our firm’s verdicts and settlements in construction accident cases, check out our Results page. Did your boss tell you that there is no insurance to cover your injury? Most North Carolina employers are required by law to pay for workers’ compensation insurance that covers their employees’ workplace injuries. If you were working for a subcontractor, the general contractor on the job should have insurance that covers on-the-job injuries. As your attorneys, we will get to the bottom of who has the workers’ compensation insurance that should pay for your injuries. Did an employee of another company cause your injury? On any construction site, workers from several different companies may work side by side. If you’re injured by the negligence of a worker from a different company, you may still receive workers’ compensation for your injuries. As your attorneys, we will also explore whether you should file a third-party claim against the other company or subcontractor. This claim could allow you to recover damages that aren’t available from workers’ compensation. Were you injured by unsafe equipment or safety gear? Defective or unsafe equipment can easily cause harm on a construction site, even when workers are being careful to use tools and equipment properly. If you are injured by defective equipment, including defective safety gear, you may be able to bring a claim against the manufacturer or designer of the defective item in addition to seeking workers’ compensation benefits. We will thoroughly investigate the accident to determine if faulty equipment or defective safety gear contributed to your injuries. Are you worried your boss will retaliate? You have a right to a safe work environment, and when you are injured, you are justified in reporting that injury and seeking treatment. It is illegal for your boss to retaliate against you for seeking the compensation you deserve. If you feel like that may happen, discuss this with our attorneys so we can make sure your rights are protected. Did someone tell you that you can’t get help because you caused the injury? You wouldn’t take carpentry advice from a lawyer, so don’t take legal advice from someone who isn’t trained in personal injury law. You can trust our attorneys to go over the details of your case and determine who is responsible and the type of compensation you should pursue. In virtually all cases, an injured worker’s fault is not a factor in a workers’ compensation claim. Are you hurt but not from an accident? Workers’ compensation coverage may apply differently to different injuries, especially when an injury limits your ability to work. However, you do not have to be injured in a single “accident” to receive workers’ comp. Injuries that build up over time due to work, such as repetitive stress damage or illness caused by inhaling particles or caustic fumes over time, may also be covered by workers’ compensation. As knowledgeable workers’ compensation attorneys, we can explain your rights and help you file a claim. What If I Was Injured on a Construction Site, But I Didn’t Work There? Not everyone who is injured on a construction site is a construction worker. Although construction companies are supposed to re-route pedestrian and vehicle traffic to reduce the risk of harm, passersby can still be injured on or near a construction site. These include people such as commuters, visitors to the site, and individuals who drop off deliveries of equipment, supplies, or food. If you’re injured on a construction site but you are not a construction worker, the first question to ask is whether you were injured on the job – for instance, because you were making a delivery to the site as part of your job when the injury occurred. In this case, you may be eligible for workers’ compensation coverage from your own employer, even though you were not at your employer’s place of business when you were harmed. In addition, you may be able to bring a claim against the party whose negligence caused your injury. If you weren’t on the job – for example, if you were simply walking or driving past the construction site – you may still be able to seek compensation from the construction company or other parties responsible for causing the accident through a personal injury claim, which would allow you to recover compensation for your injuries and other losses. At Warren & Kallianos, our construction accident attorneys will review all your legal options. At Warren & Kallianos, our attorneys move quickly to help you understand your legal rights and options and seek the compensation to which you are entitled. Attorneys Jeff Warren and Chris Kallianos work directly with each client to pursue the financial resources you need to move forward after a severe accident on a construction site. Do I Need to Hire a Construction Injury Lawyer? Construction injuries that require lengthy time off work can leave victims with a mountain of debt, so it’s important that you receive the benefits you are legally owed. Whether you need to file for workers’ compensation or pursue a personal injury case against a negligent third-party, the assistance of an experienced attorney is very valuable. Unfortunately, many people assume that they cannot afford to hire an attorney, and that means even deserving victims miss out on substantial monetary recompense. At Warren & Kallianos, our construction accidents attorneys work on a contingency basis. Unless we win your case, you do not pay us any legal fees. What Types of Compensation Am I Entitled to Seek? The costs of an injury can be difficult to face. Innocent victims of a preventable accident and workers injured on the job should not have to bear that kind of financial burden. Who Exactly is Responsible for My Injury? Without knowing how the accident happened, we cannot determine which party or parties are responsible for your injury. Once we discuss the details of the incident with you, our attorneys and trained investigators can examine the facts, interview witnesses, and find out exactly what happened and who was at fault. In some cases, your supervisor or the company may have failed to implement proper safety protocols. Someone may have acted in a careless or reckless manner on the job. A poorly-trained employee may have made a mistake that caused the accident, and you may have been hurt due to his or her actions. We won’t know for sure until we talk to you, so contact our experienced Charlotte construction accident attorneys now for a free evaluation of your claim. You deserve an attorney who will fight hard for you. At Warren & Kallianos PLLC, we are here to get results for you. You are welcome to schedule a free consultation with us today to discuss how we can help you. To get started on your case today, call our office at 704-275-5593 or contact us online to schedule a free and confidential consultation.